Cooper has been loving this collection of episodes! His favorite has been Pups Save a Wiggly Whale but he certainly loves all of them. Go out and grab your copy of this Paw Patrol Collection. Your kids will love it too! NEW YORK - November 5, 2018 - The PAW Patrol are diving back onto DVD with six more deep-sea adventures on PAW Patrol: Pups Save Puplantis. Available January 15, 2019, fans can join the pups as they journey to the mystical world of Puplantis, discover an underwater volcano, save the Sea Patroller from Sid the Pirate, and so much more. 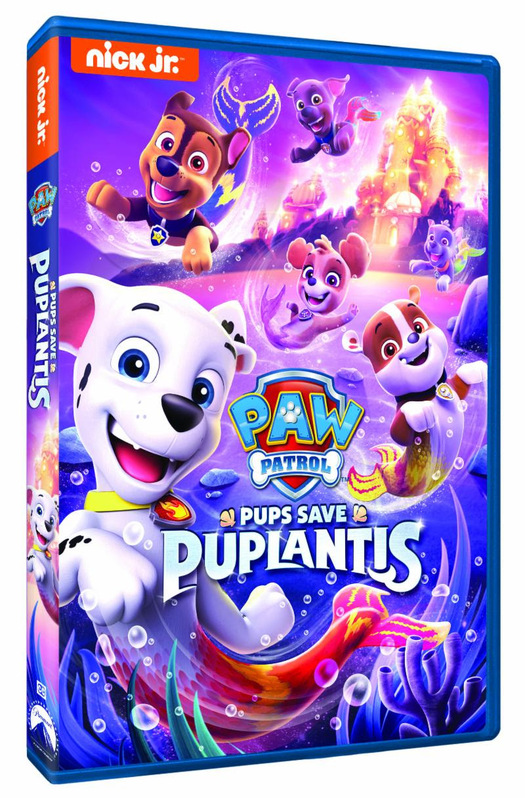 Produced by Nickelodeon Home Entertainment and distributed by Paramount Home Media Distribution, PAW Patrol: Pups Save Puplantis will be available on DVD January 15, 2019 for the suggested retail price of $10.99. Sweet Cheeks Adventures received a copy of this title for review. All opinions are honest and fair.